Animation CATE BLANCHETT GERARD BUTLER HOW TO TRAIN YOUR DRAGON JAY BARUCHEL JONAH HILL KIT HARINGTON BEAUTIFUL 'HOW TO TRAIN YOUR DRAGON 3: THE HIDDEN WORLD' TRAILER WITH GERARD BUTLER AND CATE BLANCHETT! BEAUTIFUL 'HOW TO TRAIN YOUR DRAGON 3: THE HIDDEN WORLD' TRAILER WITH GERARD BUTLER AND CATE BLANCHETT! 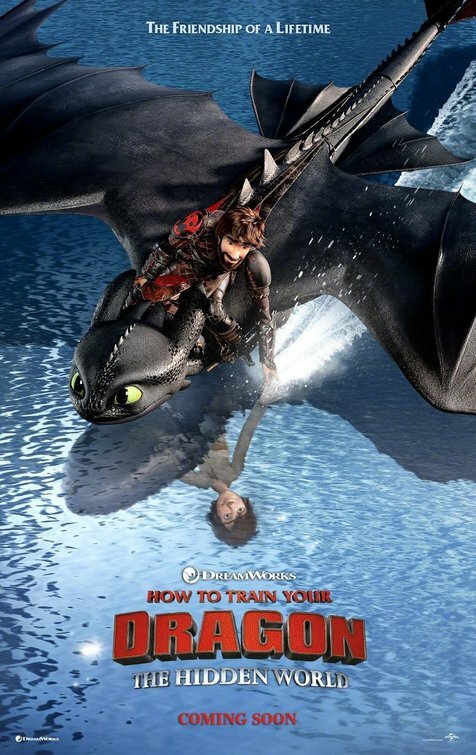 Earlier last summer we were given a teaser and now we've got the first trailer for HOW TO TRAIN YOUR DRAGON: THE HIDDEN WORLD which hits cinemas next January and February! Jay Baruchel, Cate Blanchett, Gerard Butler, Kit Harington, Jonah Hill are in the voice cast!